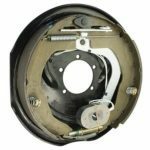 2t – 3t Electric Brake Drum only. Suits Al-ko two piece hub drums. Note: 2t or 3t Hub supplied separately. 2t Hubs also available. These 12″ drums can wear very quickly on corrugated roads using standard electric magnets. 10″ and 12″ drum wear is significantly reduced when using the Al-ko Offroad electric Magnet. You may also need to replace the lever arm that holds the magnet in place. 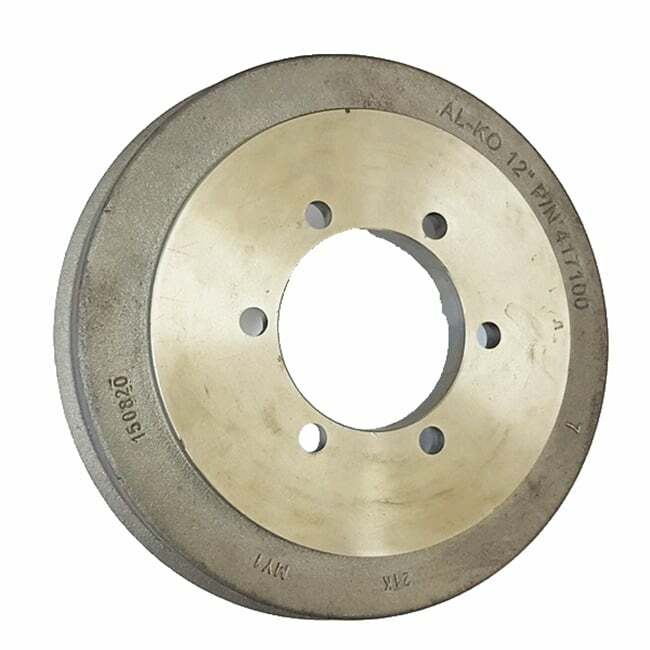 Worn drums can involve not only replacing the drums but replacing the entire backing plate to the offroad model. Click the image on the right to buy off-road backing plates. We do not recommend manually coupling drum and hub. We use an electric hydraulic ram to insert stud vertically with sufficient pressure to drive them home correctly. Couplemate does not recommend inserting studs manually. Quite often we find customers complain the holes were poorly drilled because the studs were pressed in on an angle. Therefore, we recommend having the professional do it.